Think about the last purchase you made. Did you drive to your local retailer or did you do your shopping online? From grocery shopping to same day delivery service from Amazon.com, there is almost no limit to what you can purchase online. If you’re a retail store owner who has yet to take the plunge into opening an online store, there are some compelling reasons to do so and it’s not as hard as you might think to get started! Educational – Research product attributes, read reviews and find out what your friends on social media are recommending. 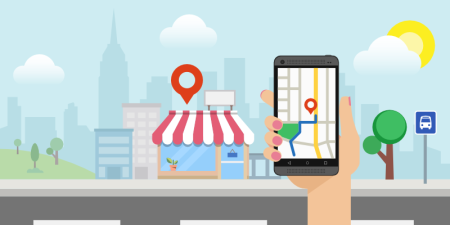 If you have a brick-and-mortar store, adding an online store will broaden your customer reach and with fewer people shopping at their local retail merchants, it’s a good way to capture lost foot traffic. finding distributors and sales reps as well as lessening the amount of inventory you’re going to need to carry (something many product developers don’t factor in). It also allows you to start slowly and easily make any adjustments to your product before going “big time”. 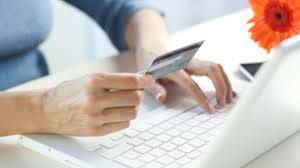 What are the key components of a successful online store? It needs to have a clear and easy to follow navigation path. The more clicks a buyer has to make to find what they want, the more likely they are to leave without making a purchase. It needs a homepage that is visually appealing without being overpowering as well as having a clear call to action. It needs to be optimized for all devices – pc, tablet and mobile phone. With more people using their phone to make purchases having a mobile optimized website is vital. Product photos need to be large – image zoom and light box features help show detail. Tiny photos are no good especially on mobile devices. What if you don’t have any photos? Ask your distributor(s) for suitable images. If you don’t have good product photos, consider taking and using your own photos. Just make sure whatever you do, the photos are professional quality and have a consistent look. If you’re not sure of your photography skills, it will be worth it to hire a professional photographer. Use compelling content to describe product attributes – Content needs to entice, clearly describe the product benefit and differentiate it from similar products. Keyword loaded descriptions, are out. Instead, you’ll need to create a story around each product. An easy checkout process – Preferably have a single page checkout process to make purchasing as easy and seamless as possible. Again, the more pages a visitor has to click through, the more likely they are to leave your website without making a purchase. Accept multiple payment options – Besides the major credit cards, consider having PayPal and/or Google Wallet as an option. Easy account sign up – Allow customers to create an account using their social media login details. While your customer will be concerned with what they see on the front end, the back end is just as important. You’ll need to be able to track inventory. Fortunately many shopping carts providers offer this. Make sure your inventory count is accurate from the get go. Otherwise you could be caught short stock and lose sales. It goes without saying, inventory management from an order standpoint is key. You have to know how often and when you’ll have to replenish inventory along with the ideal amount to have on hand. This helps to insure that not only do you not run out of inventory, but that you’re not carrying (and paying for) too much. Decide what shipping options you’ll offer. Will you use UPS, USPS, FedEx, free shipping, flat rate shipping? You should research the costs of each option before deciding. If you’re going to offer free shipping, where will you make up that cost? Many shopping cart providers have shipping and order management included but you’ll still need to know what percentage will be borne by the customer and/or your business. Customer Service – As the online shopping place gets more crowded and competitive, having excellent customer service is one way to distinguish your store from its competitors. Even if you’re the sole employee, you need to be available. Customers should be easily able to find contact information on your website. You can have a virtual toll-free number that forwards to your office or mobile phone number and it’s less expensive than adding a toll-free number through your local carrier. Consider offering live chat on your website. There are many live chat solutions and with mobile apps, you can manage your live chat conversations from anywhere. In a study conducted by Bold Chat, in 2012, the majority of a group of 2,000 U.S. and U.K. shoppers viewed live chat positively and over 90 percent of those chats had a favorable outcome. Also from that year, more than 65 percent of online shoppers used live chat, a number up from roughly 50 percent just two years prior. The addition of Live Chat can help improve conversions and provide a solid ROI for your business. Even if you’re a small company, it’s possible to run a successful online store. While the marketplace is very competitive, if you establish your own niche and are laser focused on who your customer is, you can achieve success. The beauty of being a small business is you can make product adjustments much easier than the big online merchants and no one will know how small you really are unless you tell them; you’re like the Wizard of Oz! One person, really can influence a lot of people. Thinking of opening an online store? DLJ Creative can help you get started. As a small business we have the ability to see things from your perspective and can tailor a complete e-commerce package no matter what your company size is. Our passion is your success. Contact us today at hello@dljcreative.com.